Home > Commercial-Land Mobile-Marine > AP-4002H : 3.6 volt 1650mAh rechargeable long life NiMH Battery for Motorola FRS radios. AP-4002H : 3.6 volt 1650mAh rechargeable long life NiMH Battery for Motorola FRS radios. 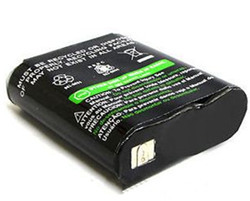 AP-4002H : 3.6v 1650mAh Long Life rechargeable Ni-MH Battery pack for Motorola Talkabout radios. Replaces original battery model #s 53615, HKNN4002, HKNN4002A, KEBT-071, AP-4002H, AP-4002, HKTN4003, NNTN4384, NNTN4385, etc. Charges in stock Motorola Chargers, such as the 1501, 1564200R07, etc. Fits the following radios: Motorola TalkAbout: EM1000, EM1000R , MC220, MC220R, MC225, MC225R , MJ270 , MJ270R , MR350 , MR350R, MR350R VP, MR355, MR355R, MR356, MR356R, MS350, MS350R, FV500, FV600, FV800, T4800, T4900, T5000, T5022, T5025, T5100, T5200, T5300, T5320, T5330, T5400, T5410, T5420, T5422, T5428, T5512, T5522, T5525, T5532, T5600, T5620, T5622, T5700, T5710, T5720, T5725, T5800, T5820, T5900, T5920, T5950, T6000, T6210, T6200, T6220, T6250, T6300, T6310, T6320, T6400, T6500, T6530, T6500R, T8500, T8510, T8550, T9500, T9550, T9580, T9650RCAMO, T9680, T9680RSAME, Motorola EM1000R, FV500, FV600, FV800, HKNN4002, KEBT071, KEBT-071, MJ270R, T4800, T4900, T5000, T5320, T5400, T5410, T5420, T5500, T5512, T5522, T5600, T5620, T5700, T5710, T5720, T5800, T5820, T5900, T5920, T5950, T6000, T6500, T6500R, T8500, T9500, etc.